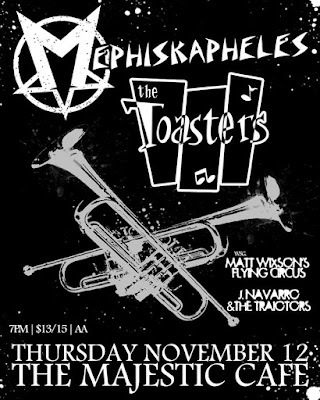 Hip In Detroit: 24 Hour Giveaway: Win Tickets to See Mephiskapheles with The Toasters! 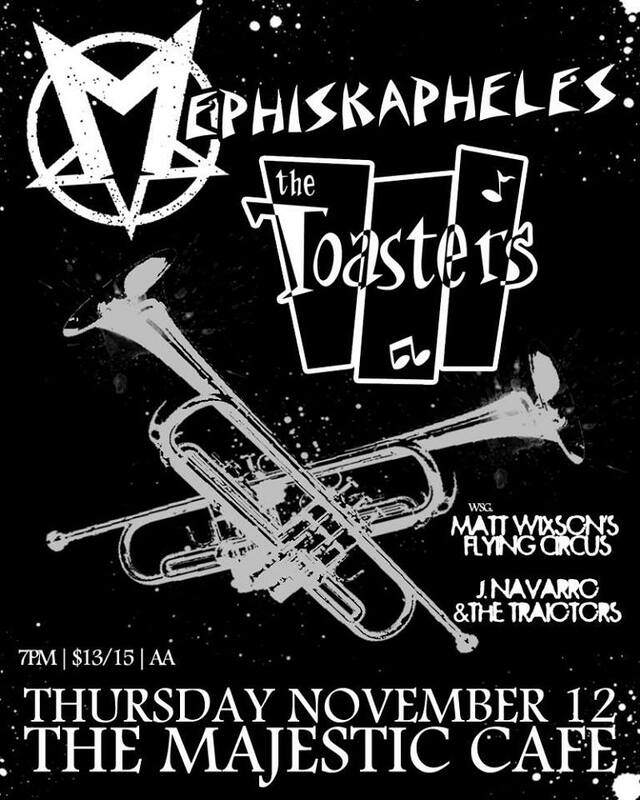 24 Hour Giveaway: Win Tickets to See Mephiskapheles with The Toasters! Get ready to skank your little heart out this Thursday night at the Majestic Cafe! The legendary ska band The Toasters will be hitting the stage along with Mephiskapheles. With those two bands alone, this would be an absolutely awesome show. But, Detroiters Matt Wixson's Flying Circus are also on the bill AND this will be the first time ever that the newly formed band J. Navarro & The Traitors will be playing live! Seriously, how can you miss this show? If you want to slip on your favorite checkerboard gear and check out this great ska show, you can pick your ticket up here for $13 or pay $15 the day of the show. If you're a little low on cash or are feeling lucky, we are also giving away one pair of tickets to this show! Thanks to our good friends at Black Iris Booking we are getting one person in to this show with a friend for FREE. If you would like to put your name in the hat, please send your full name over to hipindetroit@gmail.com with Ska in the subject line. We will draw our lucky winner tomorrow morning and email them details on how to claim their prize. Whether you win tickets or not, this is a show you do not want to miss! Doors are set to open at 7 p.m. and all ages are welcome!